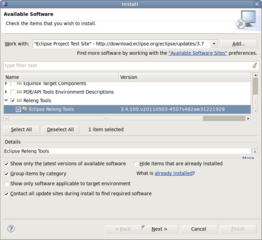 Size of this preview: 655 × 599 pixels. Other resolutions: 262 × 240 pixels | 762 × 697 pixels. 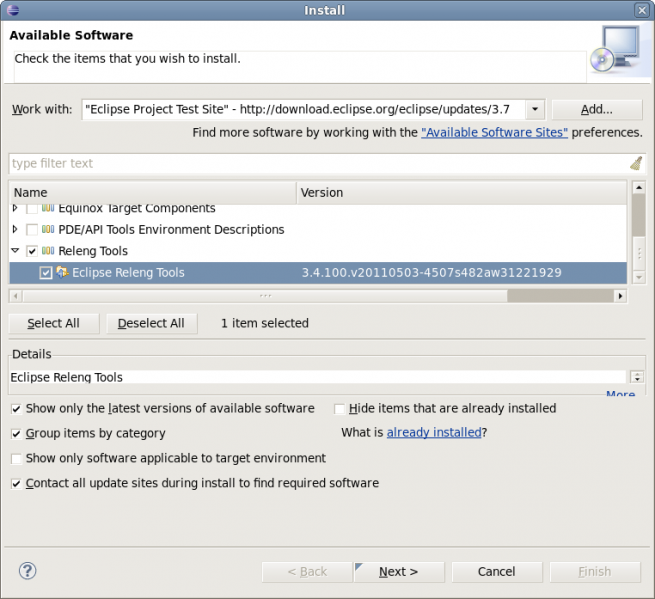 "Install" dialog being used to install Eclipse Releng Tools. current 12:03, 30 September 2011 762 × 697 (76 KB) Wayne.eclipse.org (Talk | contribs) "Install" dialog being used to install Eclipse Releng Tools. This page was last modified 12:03, 30 September 2011 by Wayne Beaton.